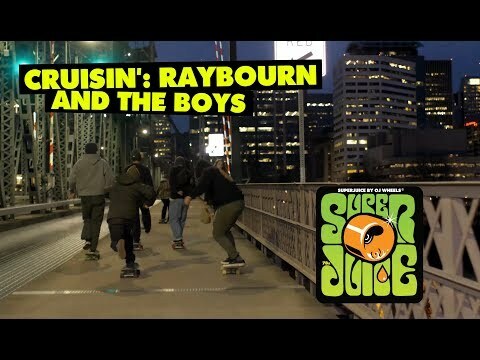 Ben Raybourn has been welcomed over to the OJ Wheels team with this barrage of sick footage. Bones Wheels riders, Chris Russell, Cody Lockwood, Kevin Kowalski, Ben Raybourn, Alan Young, and Jimmy Wilkins pay tribute to 30 Years of Animal Chin on the Chin Ramp in this video piece. Original Bones Brigaders, Tony Hawk, Steve Caballero, Mike McGill, with special guest Lance Mountain also team up in this acknowledgment of skate history.